COLE GOT ME A FLIP CAMERA ITS THE SIZE OF A SMALL PHONE ITS AWESOME IM GUESS IM VLOGGING? 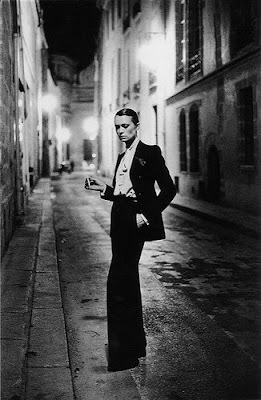 I love helmut newton his twisted sense of humor and his life style just tour around with his wife june living in the cheatue marmont, doing his art along side his commercial work for yves saint laurent and vogue. this video is june speaking about jerry hall when she was just a nobody model who would pop by helmut's studio looking for work and the day she got her break and june art directed by proposing the use of a steak in the beauty story to make it interesting. and in partnership with Art Streiber and Andrew Southam. Workshops at 310.392.0909 or visit juliadean.com. All photographers are subject to availability.